Are you tired of pain and suffering? 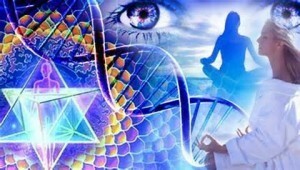 Are you ready to reset your DNA back to its original blueprint of perfect health? Let's get started. 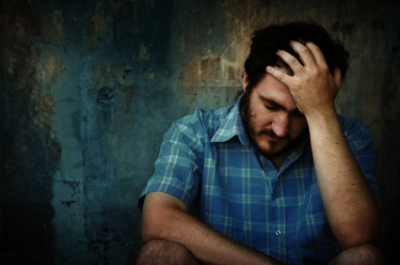 Have you ever experienced abuse, trauma, neglect or extreme illness and not felt like yourself since it happened? Do you often experience symptoms of fear, worry, anxiety, depression, apathy, pain, chronic fatigue, shortness of breath, irregular heartbeat, weight loss or gain, or addiction? Perhaps you are disconnected. Some of our most challenging mental, emotional and physical symptoms seem to hold us back from the life we want. They undermine or block us from success, satisfaction, and fulfillment. There seems to be a missing link between where we are now and where we want to be. Much of this has to do with disconnection or lack of flow of energy from one point to the next. When we experience abuse, trauma, neglect, or illness, our nervous system stores that energetic imprint, like a scratch on a CD, causing us to skip and repeat or malfunction. 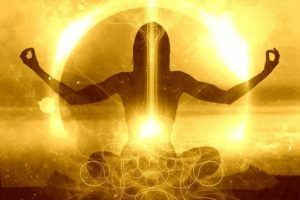 Our miraculous bodies are taken "offline" and that ability to heal ourselves seems to go in the opposite direction, causing us to act or behave in ways that are not in alignment with our highest good. We try to create "work-arounds," quick fixes, and poor coping mechanisms just to survive, but these tend to throw us more off course. If this sounds like you, you may be suffering from a type of energetic misalignment, imbalance or disconnection, but there are ways to heal this. Energy medicine is one of them. Energy medicine involves vibrational energy (sound) or electromagnetic energy (i.e. light, magnetism, laser etc) or a combination of both. All things mental, emotional and physical are made up of energy and they are affected by other energy. Some examples of practices include Ayurveda, Traditional Chinese Medicine, Yoga, Acupuncture, Acupressure, Qi Gong, Tai Chi, Reiki, Light Therapy, Sound Therapy, Healing/Therapeutic Touch, Massage, Tapping, Crania-sacral Therapy, Kinesiology, Crystal Healing, Pranic Healing, Polarity, Shamanism and more. Practitioners tap into and channel a source of energy that is present and available to all things. They direct energy to, or modulate energy in, a body by using crystals, needles, hands, fingers or other devices directly on or near the body, or from a vast distance. The intent is to stimulate the immune and digestive system; restore balance and relaxation by resetting the nervous system; restore energy pathways; and re-inform the body (and its DNA) of optimal health so that it can heal itself. There is no set method or prescription for everyone, even if they seem to present with similar symptoms. Each person is different, as are their relationships and the circumstances that create their own unique energy rhythm, pattern, frequency and needs. It’s about allowing the body to take what it needs and direct it where it needs it to go. This can break the cycle of fight or flight that often creates pain, tension, anxiety; stresses the adrenals; raises cortisol and blood pressure levels; and a whole list of other conditions. By breaking this cycle, emotions become more balanced; blood pressure and cortisol drops; breath, heart rate, and digestion improve; pain, tension, inflammation and stress decrease; and so forth. The list of benefits is infinite. These techniques are usually safe to use with Western Medicine treatments. Intake: This includes a free phone consultation, texting, email or skype to assess what your needs are. When we experience abuse, trauma, neglect, illness, or prolonged stress, our nervous system has a tendency to get stuck in fight or flight mode. When lower vibrational energies are not cleared, we become like a scratch on a CD, that skips and repeats. Our electromagnetic field has become programmed to such a hyper-sensitive level that everyone and every feels like a threat. We respond to life as though we are a victim. Our adrenals, thyroid, heart, and other organs begin to send out signals to "break this body down." We experience pain, shortness of breath, irregular heartbeat, pain, fatigue and a long list of other symptoms that just mean we are not in alignment with our truth, optimal health and wellbeing, highest destiny and most fulfilling reality. Instead, we are suffering on many levels that no pill could ever reach. Don't get me wrong, western medicine has its place, but there are things that it cannot touch no matter how deep it goes. 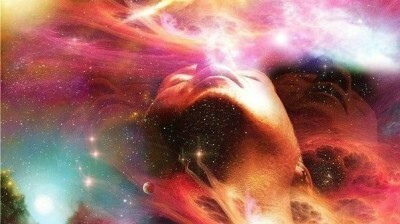 It cannot touch the soul (aka energy or light body) in a positive way. It can throw it off track, but it cannot put it back on. Chakra cleansing and illumination combusts denser energies that keep us stuck in these repetitive cycles of recreating the same wounding events, circumstances and relationships over and over again. When this happens, our bodies often misfire and begin to program us to self-destruct on many levels. We become so confused and thrown off course that we send out chemical signals to break us down. The cleansing, combustion, and illumination process are like a way to defragment our computer; remove viruses and faulty software; clear out the trash; and put us back to our original state of health and wellbeing before some hacker downloaded faulty software into our electromagnetic fields. This process aids the body in switching off genes of dis-ease; turning on the genes of vitality; resetting the nervous system out of fight or flight mode; re-awakening the body's innate wisdom and ability to heal itself; and to restore our mitochondria (the powerhouse of our cells) and DNA back to their original blueprint of perfect health. "Rei" means God's wisdom or higher power. "Ki" means life force. Reiki is a Japanese healing technique for stress reduction and relaxation in which the practitioner channels universal life force energy into the client so that their own body can heal itself. No matter where the practitioner lays their hands on a client's body or directs it long-distance, it is a divinely-guided energy/force that needs no intervention or direction from either the practitioner or the client. The practitioner is merely a conduit of such Universal Life Force and the client's body uses its own intuition to receive and guide it where it is needed. Prana is the life force that makes up all living things. It available in the sun, water, air, and the ground. Many cultures throughout the world believe that we become sick, and eventually die, because of lack of life force energy. When this prana is low, we often experience symptoms of general malaise, pain, fatigue, weakness and mental/emotional imbalances, such as depression. If not restored, lack of this vital life force can lead to more serious and life-threatening illnesses. 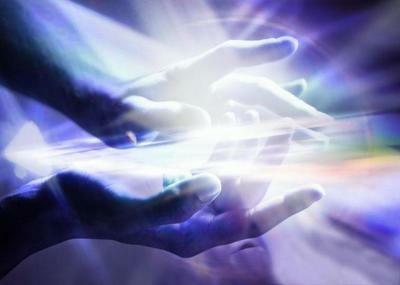 Pranic healing is a simple yet powerful & effective system of no-touch energy healing. It is based on the fundamental principles that the body is a self-repairing living entity that possesses the ability to heal itself. This process is accelerated by increasing this life force that is all around us to address physical & emotional imbalances. It is safe to use with other modalities, as well as conventional western medicine treatments, therapies and surgical procedures to give us the energy we need to help speed up the healing process and come back into balance with our natural state of health, vitality and wellbeing. Sound healing is used throughout the world to restore health and function to the energy body, which I mentioned above. This is where our Prana, Chi or Life Force is stored. Sound healing uses vibration to access and affect the energy body. Our natural vibrational frequency is 432Htz. 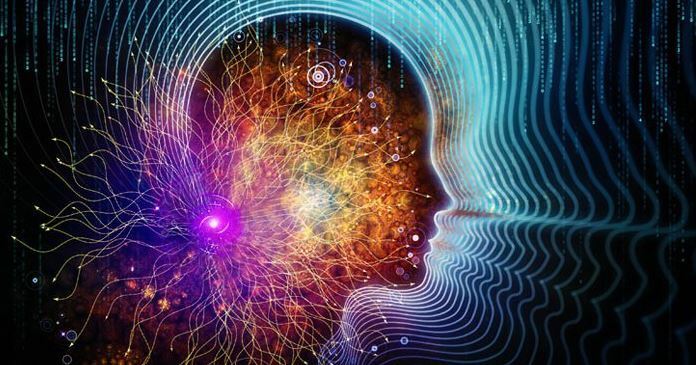 When our frequency is thrown out of sync, it alters our state of perception and how we experience our internal and external world. Many things can alter our vibration such as music, food, water, exercise, sunlight, thoughts, interactions with others, microwaves, wifi, smart meters and other powered appliances. By using different instruments, pitches, tones and vibrations, a practitioner can help release the lower vibrational frequency patterns that create and repeat imbalances and help the body return itself to its natural flow and rhythms. In my sessions I can use any of the following: rattles, drums, bells, monochord, Tibetan singing bowls, tuning forks and my voice. CST is a gentle, hands-on method of assessing, restoring and enhancing the functioning of a physiological body system called the nervous system, which includes the membranes and cerebrospinal fluid that surround and protect the brain and spinal cord. This is a therapeutic process associated with craniosacral therapy in which the practitioner listens to the subtle rhythms of the body, assessing structural and energetic restrictions that inhibit the flow of our vital life force. By working with over 10 components, the body releases energetc imprints of trauma that affect our mental, emotional and cellular levels. When releasing suppressed emotions that may be stored in various parts of the body, the body itself is then allowed to relax the physical structures and chemical reactions that have kept us stuck in patterns of pain, weakness, illness, and fatigue. This reinforms the various organ systems that they no longer have to hold onto and re-experience toxicity and trauma and that they can return to the state of relaxation that allows them to restore, rebuild, regenerate, and revitalize their cells, natural rhythms, function, optimal health and wellbeing. This is turn restores our sense of safety, peace, joy and happiness.